The first thing to say is that Bordeaux is a fantastic place - and wheeling out through the centre during the morning rush hour to head south along the river, it felt big and prosperous and ready to welcome me again. To be fair, it was a struggle this morning - the effects of the night before were still very much at work. Dave was bullish but I could tell he felt the same. As we negotiated endless roadworks and diversions, I picked up a puncture just as we crossed over the ring road. On with the marigolds, and I had her back up and running within about ten minutes. 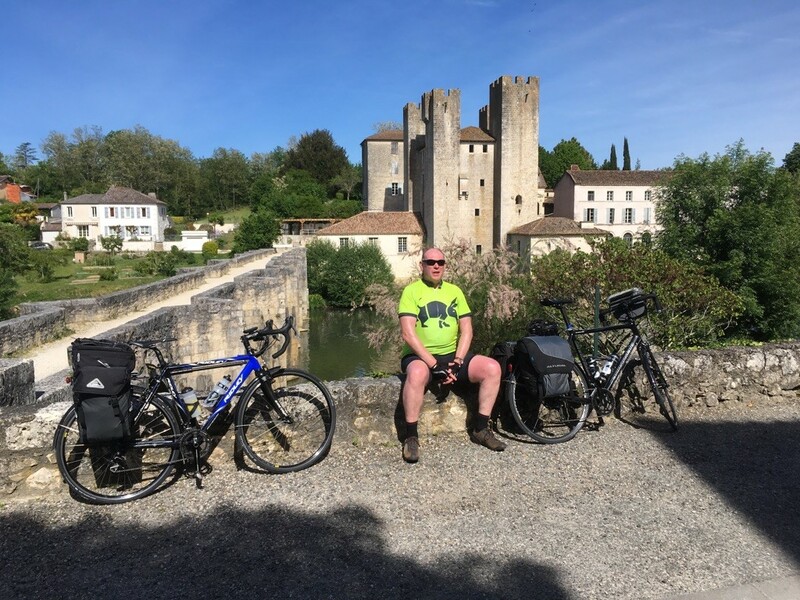 After that it was a bit of a slog - battling a nasty cross/head wind and the sun in our eyes, when we finally stopped at a McDonald's for coffee and pastry I could have stopped right there. But we kept on - finally reaching our lunch stop at Grignoles. By now everything was shut except the 'Petit Gourmand' - a restaurant run by a man who clearly felt his apron was a historical record, and not subject to basic hygiene rules. The set menu was a Salade Landais - this is basically what you'd get if you threw a Little Gem and a pig into a jet engine - warm shredded parts of an animal you'd normally make any excuse not to eat. The main course of pork and potatoes (what else?) set the lunch back on track very nicely. We also discovered that the set menu included a bottle of wine....oh godddd. After politely declining the dessert, we nipped to the communal loos and slavvered on the arse cream for a long afternoon in the saddle. 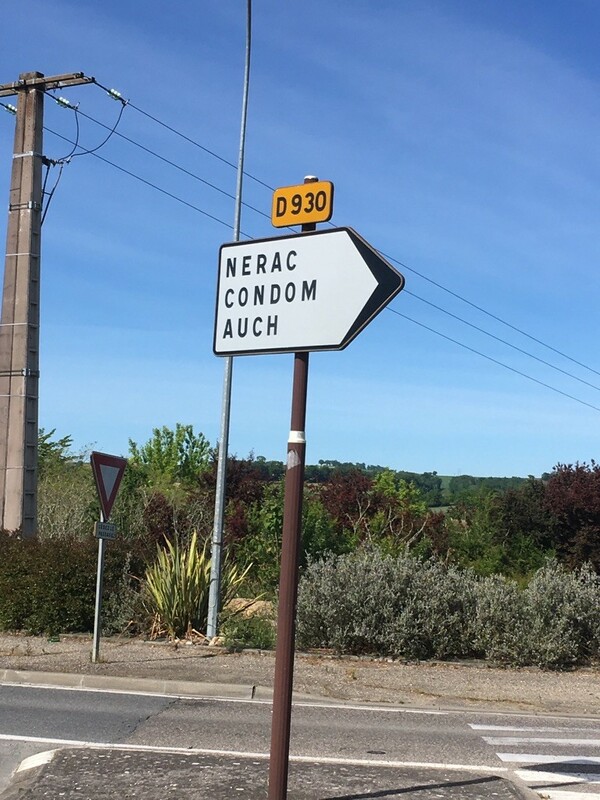 Anyway, we then dug deep and rode the last 10 miles to Nerac. It's a lovely town, and our beds for the night are at a lovely little B&B with a dog, and homely stuff like a big table under cover in the garden where we got offered cups of tea on our arrival. Just had another kebab while watching the European footy, and am now retiring to gather myself for tomorrow's assault on Toulouse. Stats fans should know that we're currently averaging 12.8mph, burning approx 4200 calories per day, and the bikes are behaving well - despite the weight, heat and general wear and tear. This is something we all know is true.